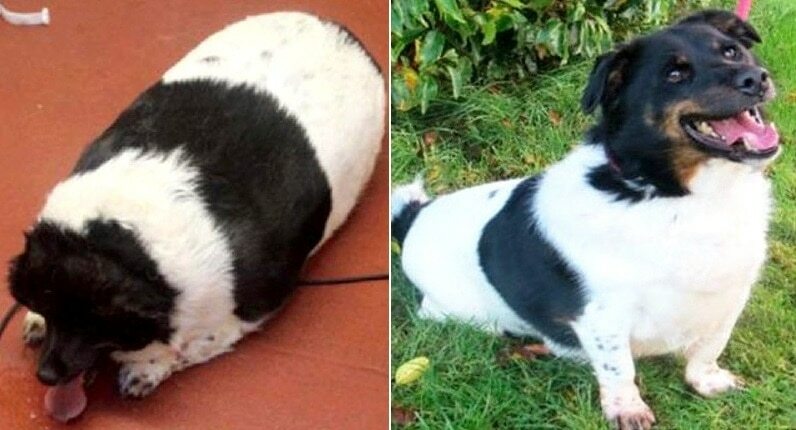 Poor Tyko was so overweight that he could only take a few steps before losing his breath and collapsing. 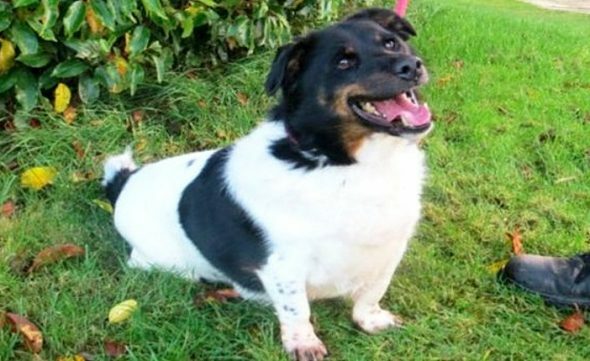 His owner was described as “killing him with kindness.” But since being taken in by the Scottish SPCA, he has lost an astonishing 80 pounds! Now he’s ready for a new home. 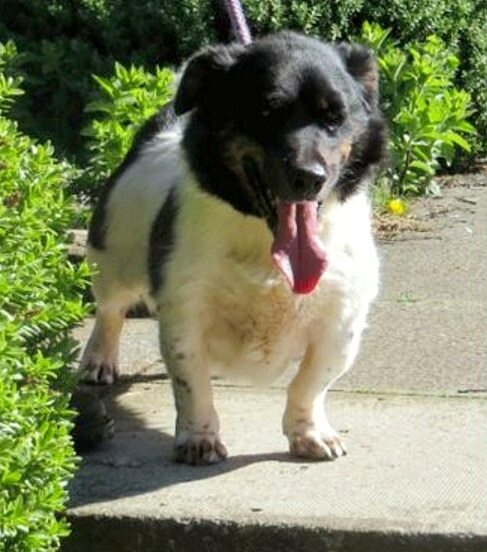 Denise Leitch had gotten the Corgi mix as a gift for her husband but was in charge of his care. She failed to provide him with an appropriate diet and then neglected to seek medical care for his respiratory condition. A neighbor called the Scottish SPCA, who took him in and got him to a vet and on the road to a healthy size. 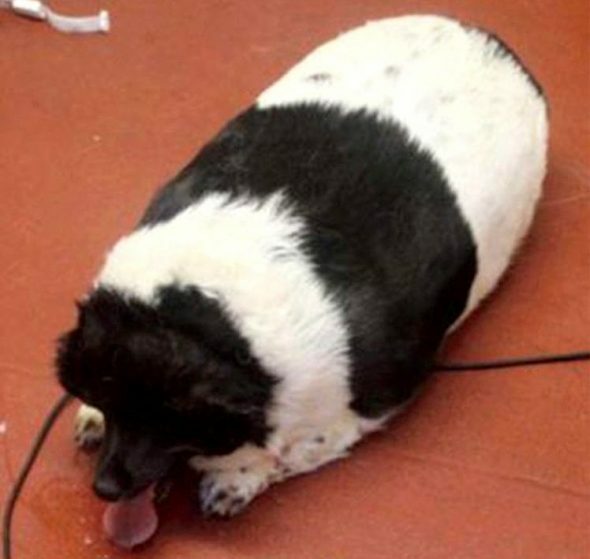 He came in at a whopping 108 pounds, and is now down to roughly 26. Leitch admitted to causing unnecessary suffering to Tyke between April and October of 2015. She faces a fine of £20,000 (~$25,000), a maximum penalty of 12 months in prison, or a ban from pet ownership. Defense attorney Natalie Paterson said that Tyko had once been “freaked out” by fireworks and rarely went outside. “He’ll need medication for the rest of his life as he has a thyroid problem but he doesn’t let it affect him,” SPCA Edinburgh manager Diane Aitchison told the court.